Lock in a great price for Select Hotel Berlin Checkpoint Charlie – rated 8.2 by recent guests! The room itself was really nice, the breakfast was grat and the staff was polite and helpful. Incredibly comfortable beds. Squeaky clean, bright and well equipped bathroom. Great spot to roam the city from. U-Bahn stop at top of the street. Red bus tour has a bus stop just around the corner. The bed was super comfortable. The room was very spacious and clean. Clean and nice, very close to to various museums, places of interest, bars, pubs etc. Room was very clean and well laid-out; good amenities; super cool modern design; staff spoke English and were wonderfully kind and helpful with directions, sight-seeing ideas, and public transit routes. Excellent hotel in a good location near Checkpoint Charlie. Staff friendly, hotel very clean and well furnished. Modern feel to it, easy access to central locations. Select Hotel Berlin Checkpoint Charlie This rating is a reflection of how the property compares to the industry standard when it comes to price, facilities and services available. It's based on a self-evaluation by the property. Use this rating to help choose your stay! 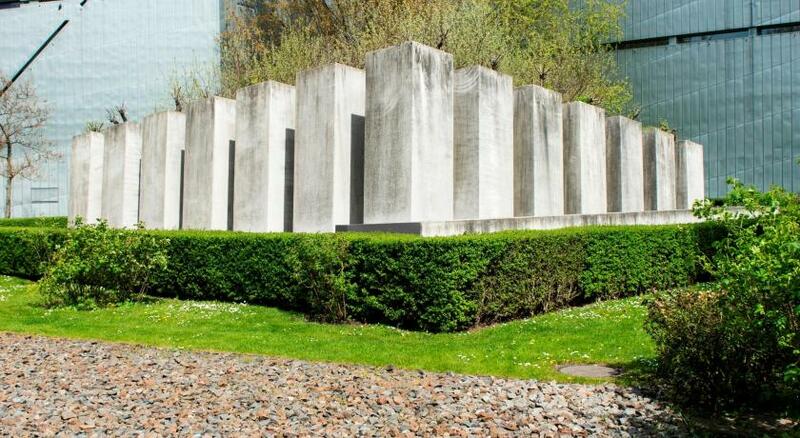 This 4-star hotel in central Berlin is 350 feet from the Friedrichstraße shopping street and 1,950 feet from the Checkpoint Charlie Museum. The Select Hotel Berlin Checkpoint Charlie offers modern design and architecture. The Select Hotel Berlin Checkpoint Charlie features an elegant façade and spacious rooms with colorful décor. All rooms include a flat-screen TV, a laptop safe, and an private bathroom. Guests at the Select Hotel Berlin Checkpoint Charlie are also welcome to relax in the contemporary-style bar with yellow lighting or in the lobby's lounge area with its black leather armchairs. Drinks and snacks are also served outside in the courtyard terrace in the summer months. 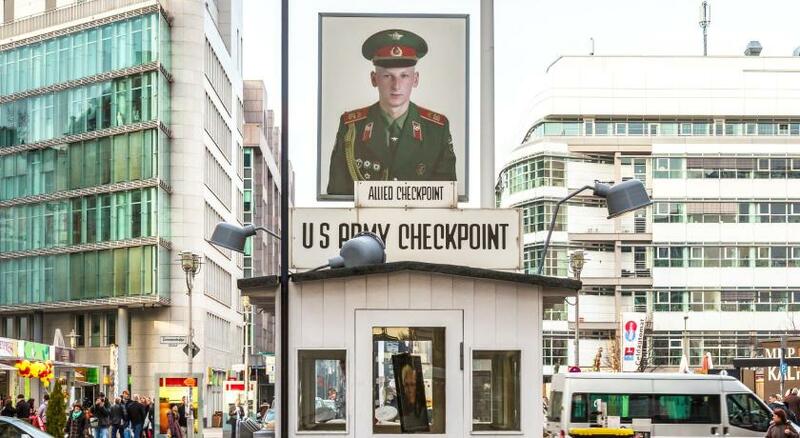 When would you like to stay at Select Hotel Berlin Checkpoint Charlie? Featuring a flat-screen TV with international news channels, a luggage rack, safe, desk with telephone and high-speed internet access. The bathroom is equipped with a shower, hairdryer and vanity mirror. This room offers extra space and free toiletries. Some also have a bathtub. House Rules Select Hotel Berlin Checkpoint Charlie takes special requests – add in the next step! Select Hotel Berlin Checkpoint Charlie accepts these cards and reserves the right to temporarily hold an amount prior to arrival. No fridge in room - but think that may be normal in Germany. I wish tea and coffee was available in the rooms. Breakfast somewhat expensive at €15. There was random blue light by the elevator instead of regular light, that was kinda weird. The room was a little cold so I had to turn up the heat. We arrived late and reported that the heating did not work, the receptionist gave us instructions how to turn it on, we did it but it was cold all night. The next morning I reported it at the reception again and looked for another room, in the afternoon the room was warm and there were no more problems. No free water in the room. No facilities for making tea or coffee. Location was good, and breakfast also was good. The room felt quite dark so could do with better lighting. 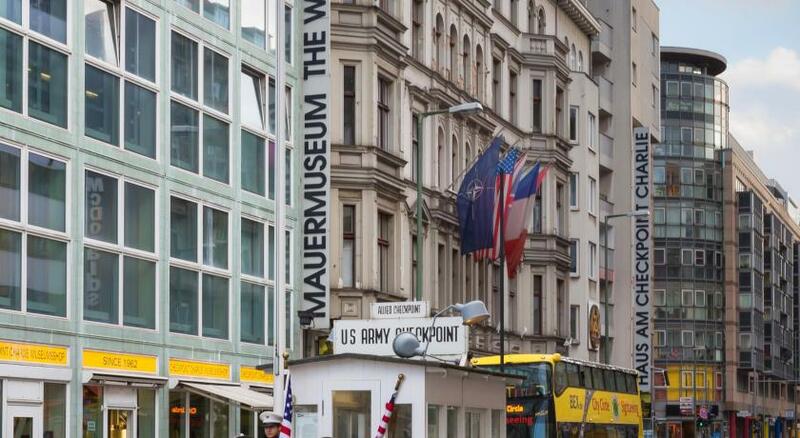 Location was great - few minutes walk to checkpoint Charlie and great public transport links. Staff were very friendly and hotel was very clean. The location of the hotel is not in the greatest place. There isn't much that can be done about that other than moving the entire location which isn't very feasible though. The hotel was much nicer than expected upon arrival which was a pleasant surprise. It was nice to know that I felt I got a very good deal on a very nice hotel which is very reasonably priced.